to this workshop. 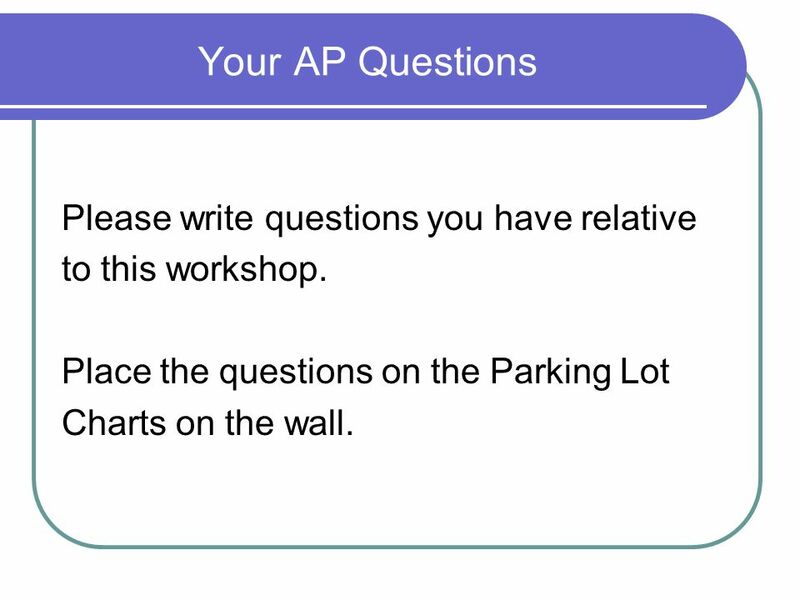 Place the questions on the Parking Lot Charts on the wall. 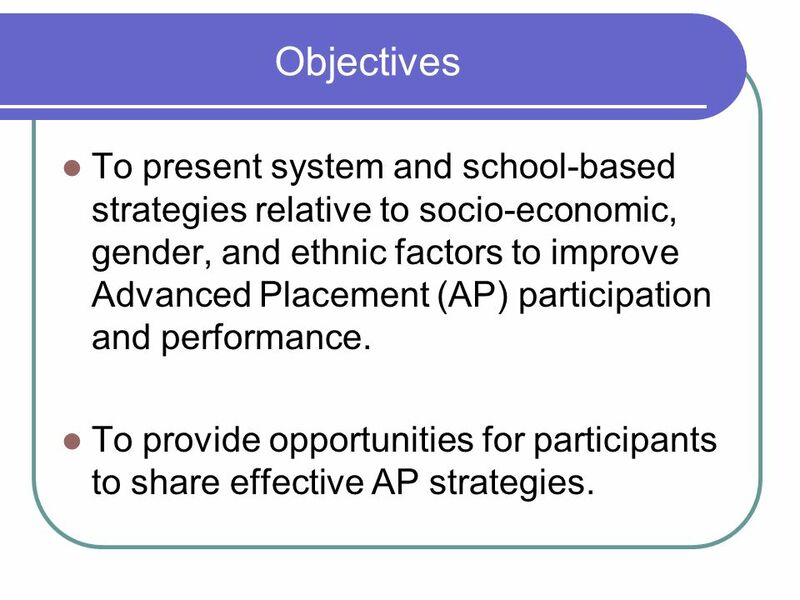 3 Objectives To present system and school-based strategies relative to socio-economic, gender, and ethnic factors to improve Advanced Placement (AP) participation and performance. 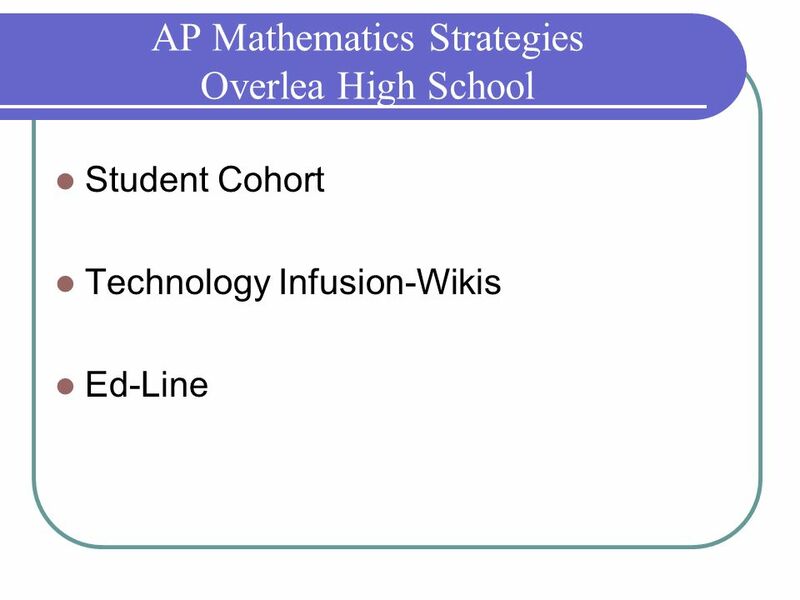 To provide opportunities for participants to share effective AP strategies. 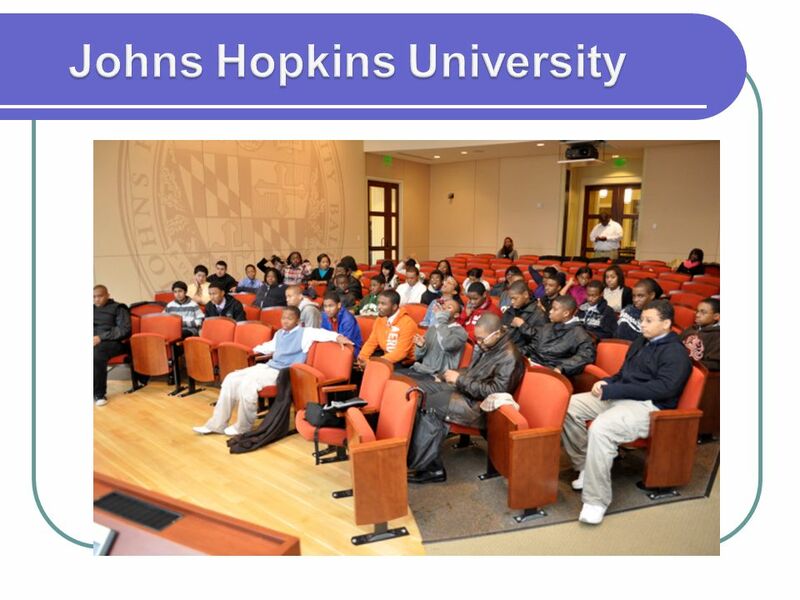 4 About Baltimore County Public Schools. 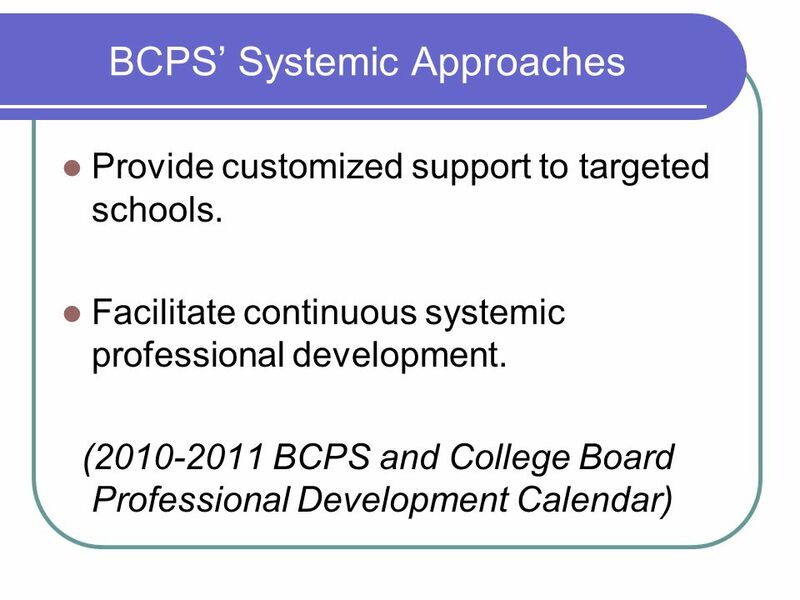 . .
BCPS wraps around but does not include Baltimore City. With almost 800,000 residents, Baltimore County is diverse with residents living in suburban, rural, and urban neighborhoods reflecting the nation’s blend of cultures and backgrounds. 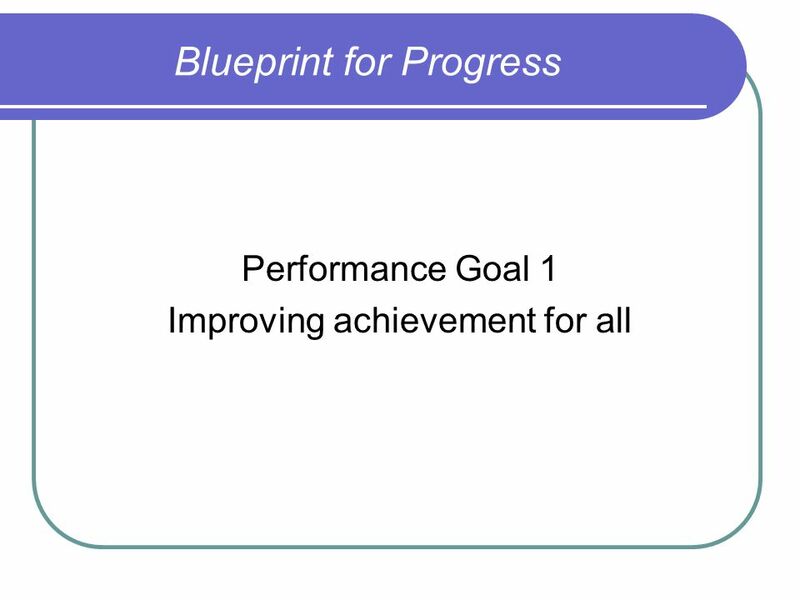 Begin with systemwide standards and high expectations (Blueprint for Progress). Align standards with rigorous curriculum. 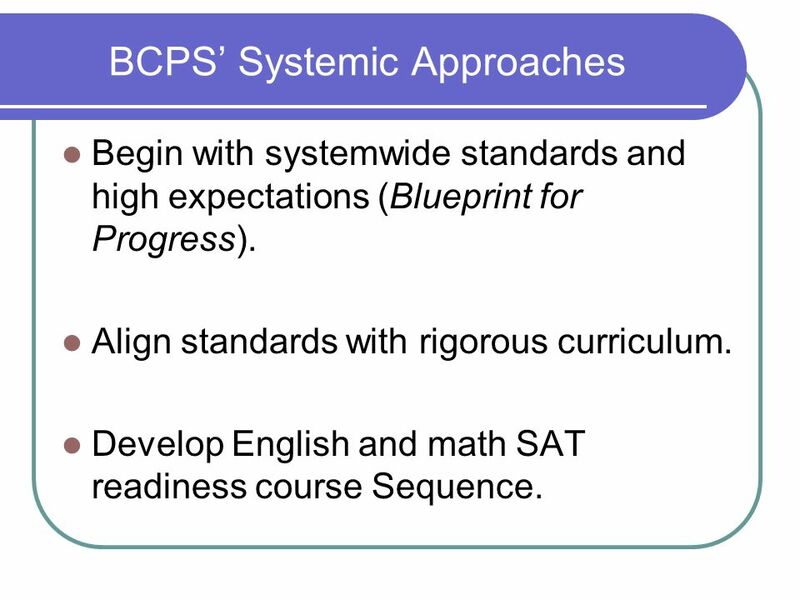 Develop English and math SAT readiness course Sequence. Eliminate low level courses. 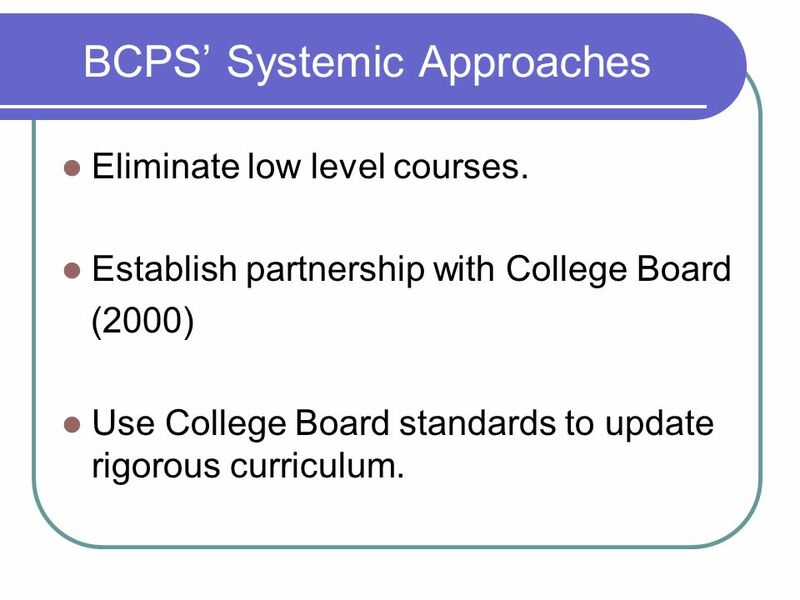 Establish partnership with College Board (2000) Use College Board standards to update rigorous curriculum. Align disaggregated data to instructional skills (PSAT/SOAS). 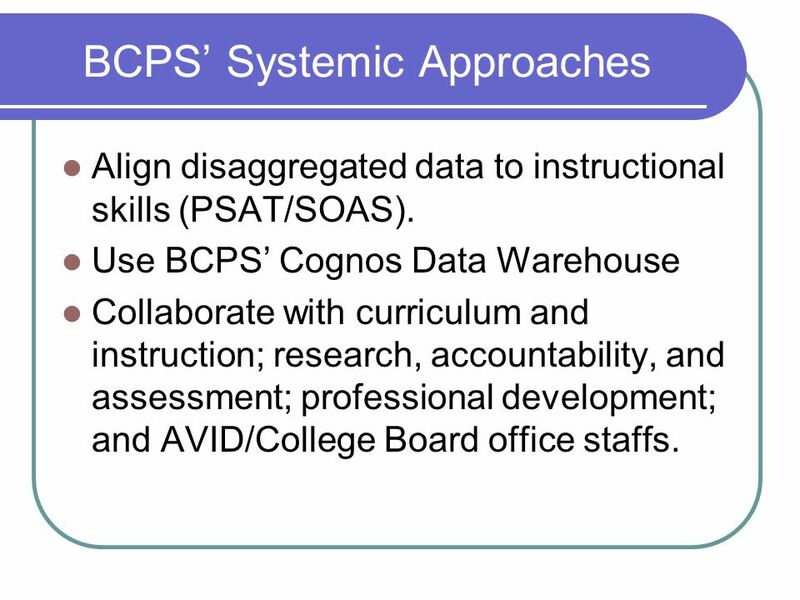 Use BCPS’ Cognos Data Warehouse Collaborate with curriculum and instruction; research, accountability, and assessment; professional development; and AVID/College Board office staffs. 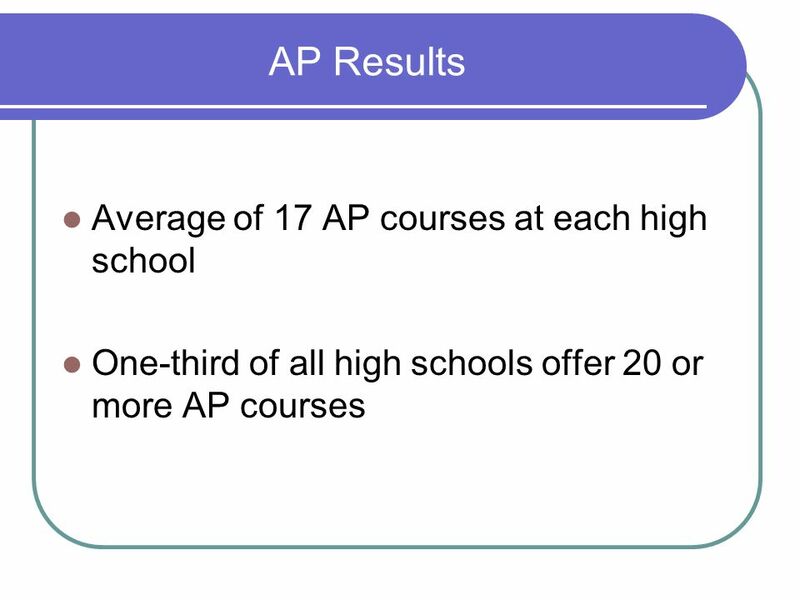 Set a minimum number of AP courses each high school is expected to offer. 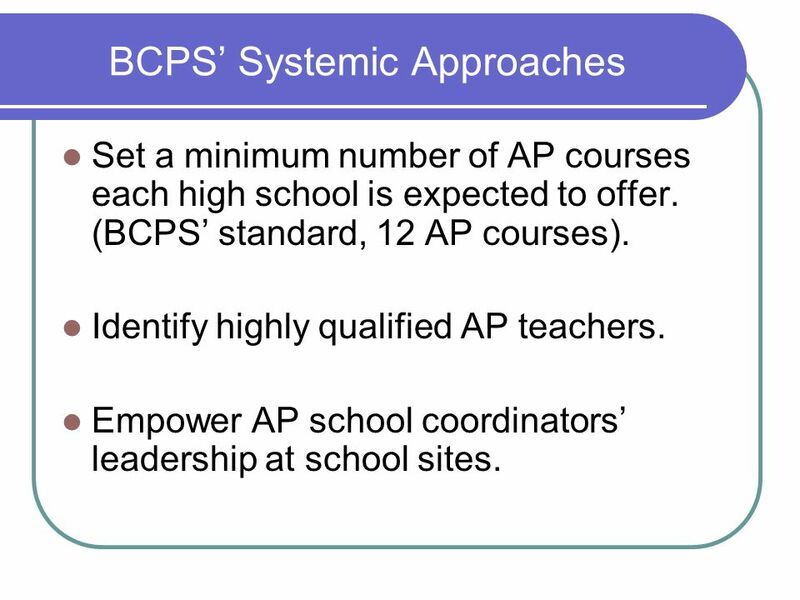 (BCPS’ standard, 12 AP courses). Identify highly qualified AP teachers. Empower AP school coordinators’ leadership at school sites. 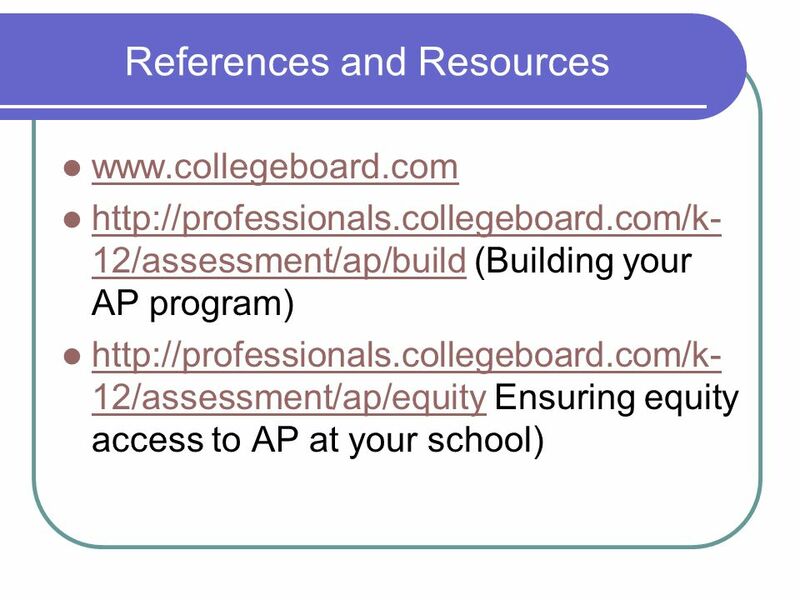 Coordinate annual 5-day College Board AP Summer Institute-Goucher College. 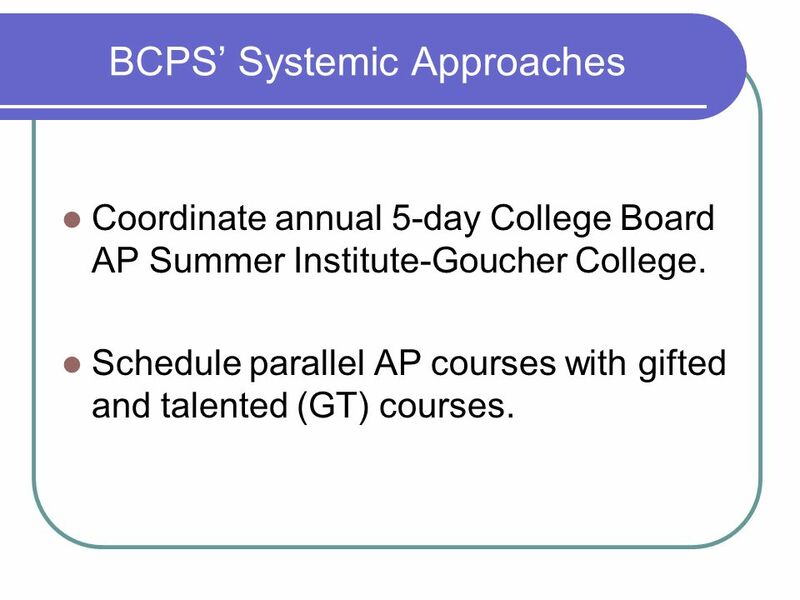 Schedule parallel AP courses with gifted and talented (GT) courses. 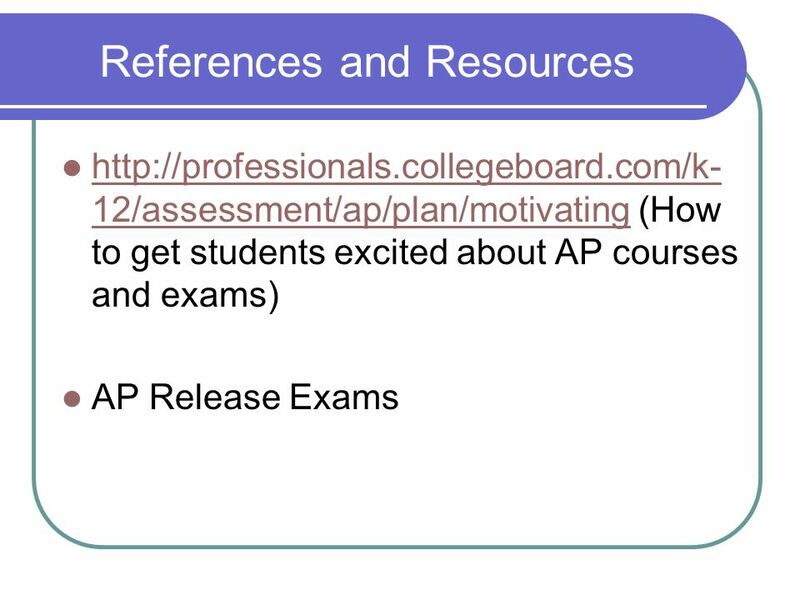 Establish AP review course six weeks before AP exam. 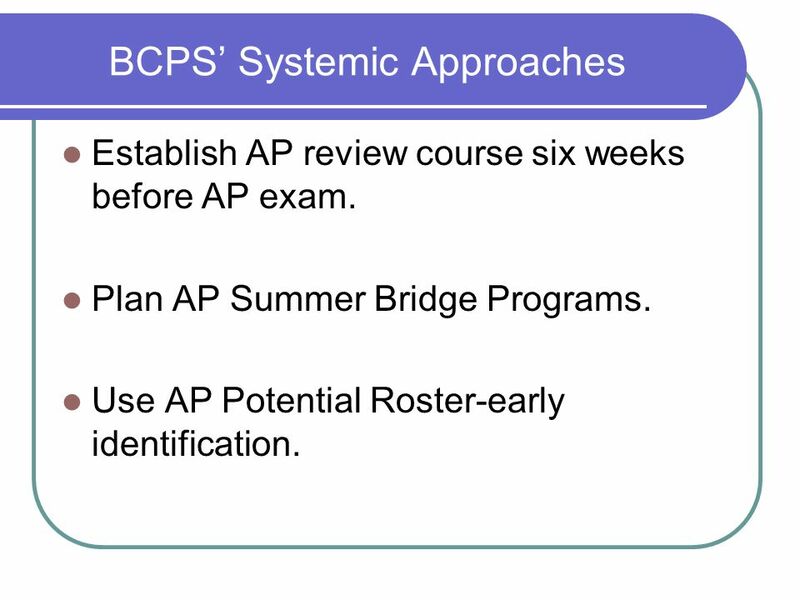 Plan AP Summer Bridge Programs. Use AP Potential Roster-early identification. 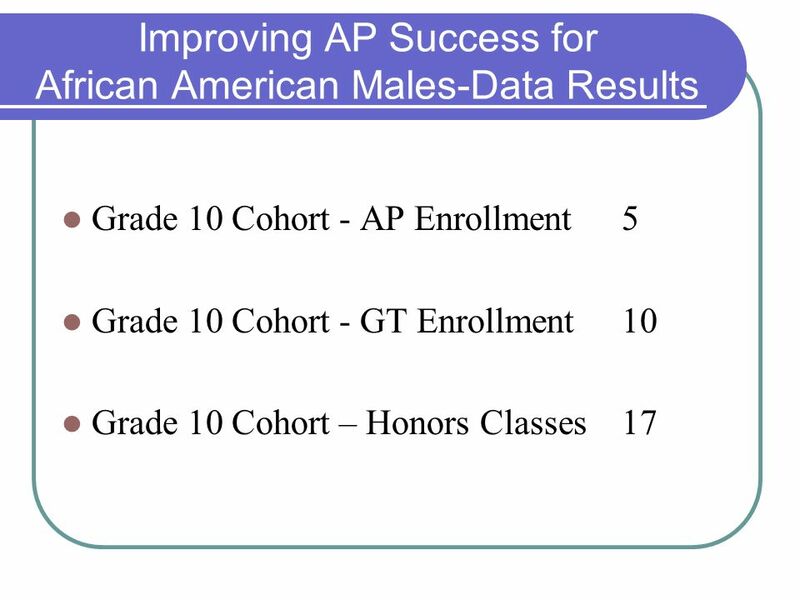 18 AP Results Multi - year continuous improved AP participation and performance (See Chart.) 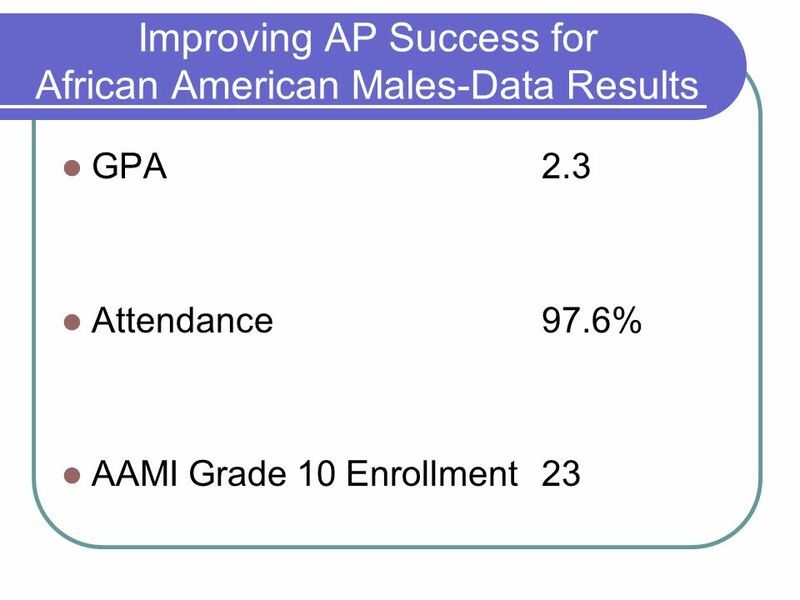 8.1% participation increase with a total of 9,750 students 4.9 % performance increase with a total of 6, 475 students having AP scores of 3-5. Shift to student driven course offerings. Eliminate class size as AP enrollment factor. 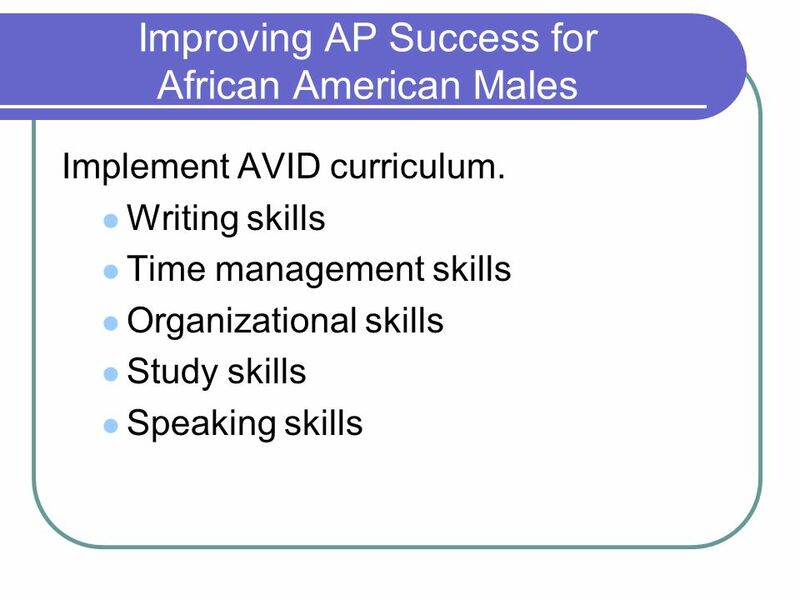 Change from school counselor as AP coordinator to content specific teacher. 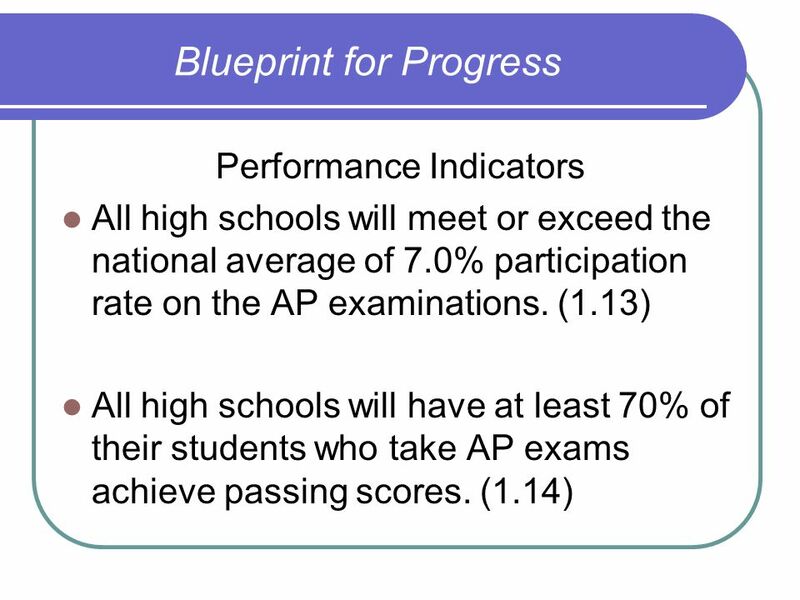 Adjust limits on AP exam participation to inviting all students who are academically ready to participate. Set high expectations for teachers. Involve department chairpersons and leadership team members in the planning and delivery of the professional development process. 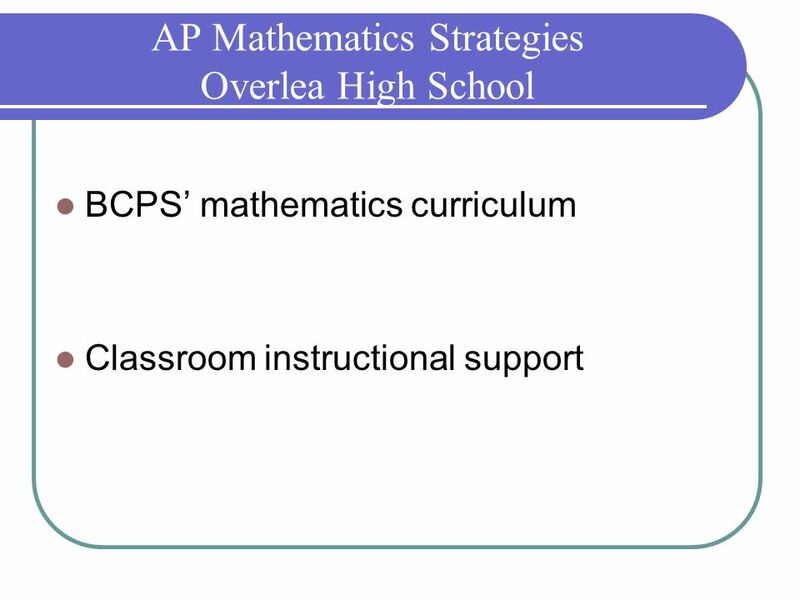 At Chesapeake High School, all really means ALL: ALL students ALL faculty Change is a total school effort. 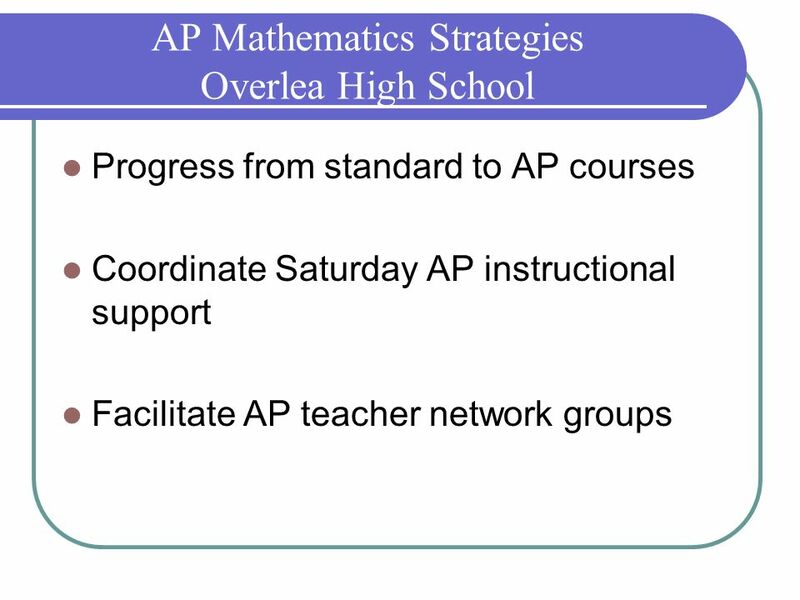 Review sample school and teacher AP Improvement Plans. 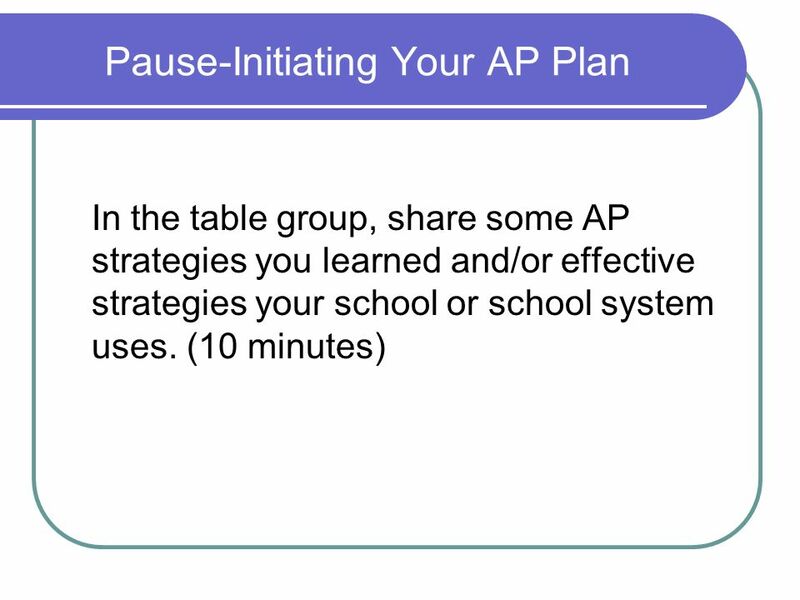 Agree upon 2 unique and effective AP strategies you shared in your table group. 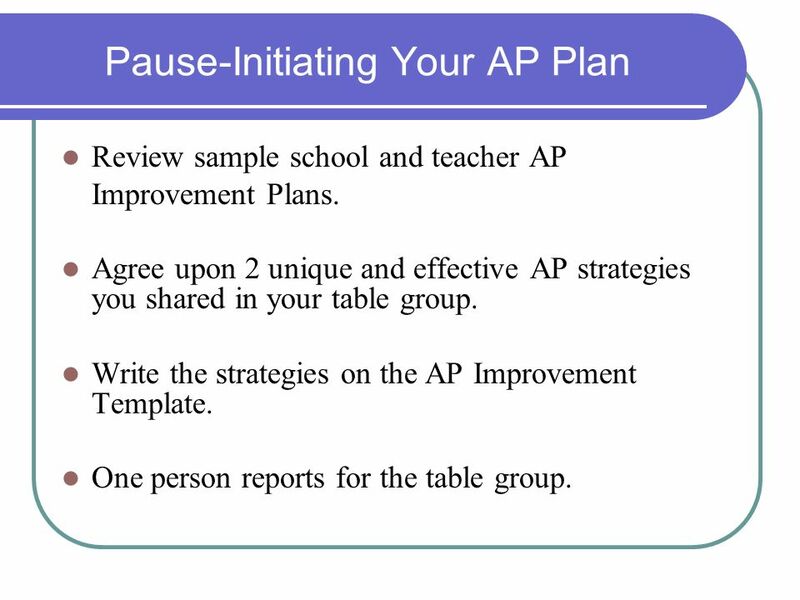 Write the strategies on the AP Improvement Template. One person reports for the table group. 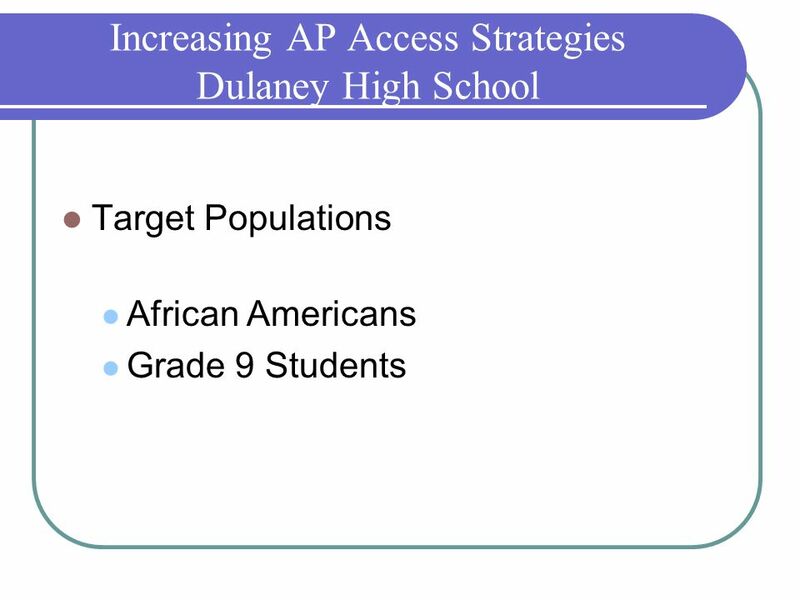 School Goal: Access for all in rigorous courses All students taking one AP by Grade 12 Data shows 30.3% of total school population took one or more AP exams. 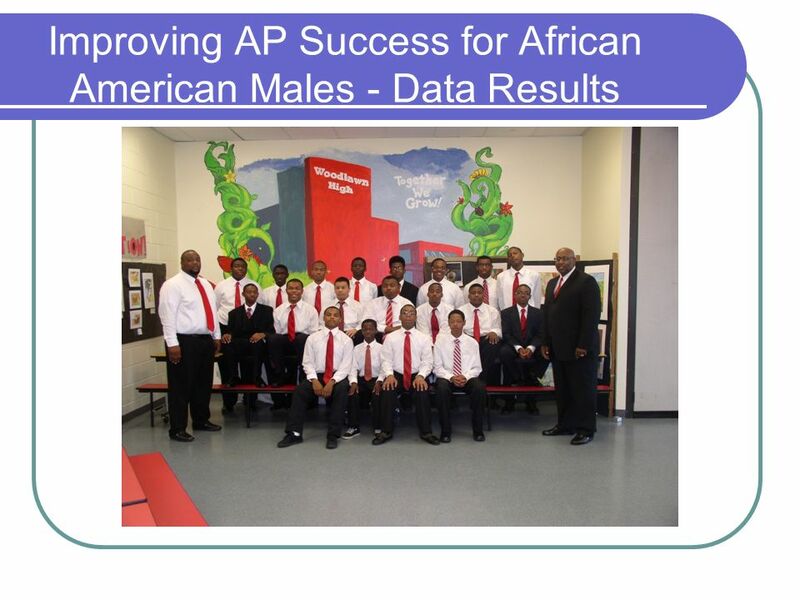 Only 10.3% African American students took one or more AP exams. 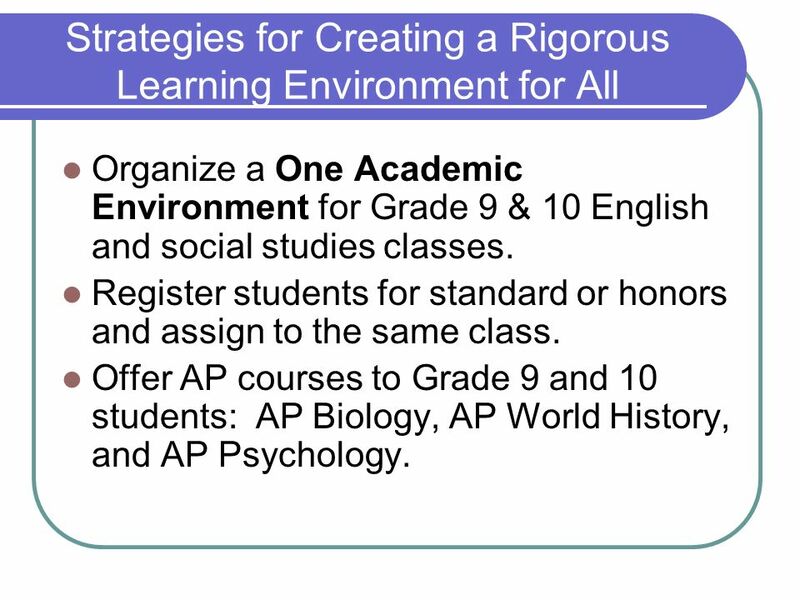 Organize a One Academic Environment for Grade 9 & 10 English and social studies classes. Register students for standard or honors and assign to the same class. 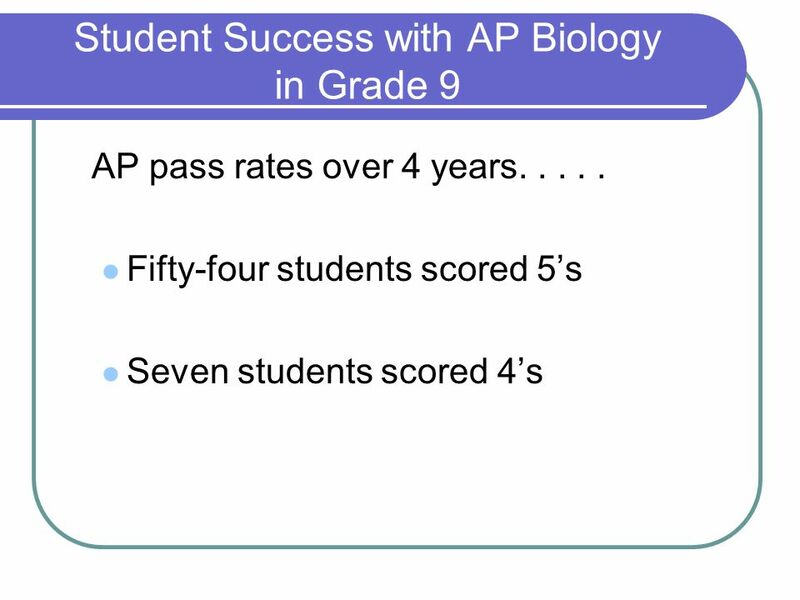 Offer AP courses to Grade 9 and 10 students: AP Biology, AP World History, and AP Psychology. 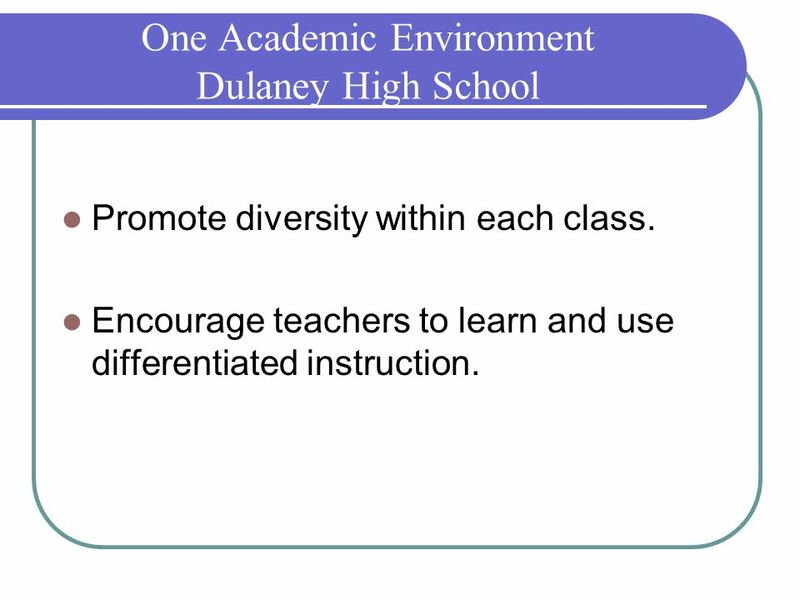 Promote diversity within each class. Encourage teachers to learn and use differentiated instruction. 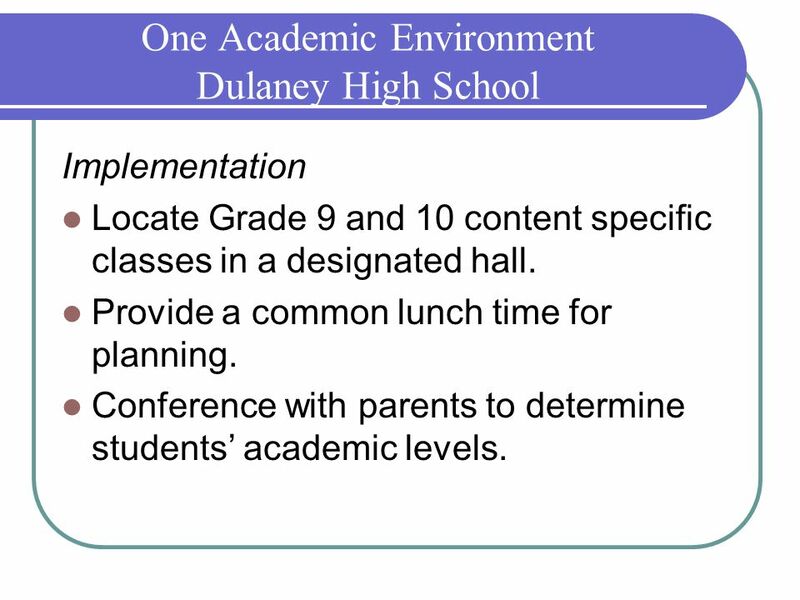 Implementation Locate Grade 9 and 10 content specific classes in a designated hall. Provide a common lunch time for planning. Conference with parents to determine students’ academic levels. Write-Accel/Excel Grants. Hire college student tutors. Recruit retired teachers as volunteers. 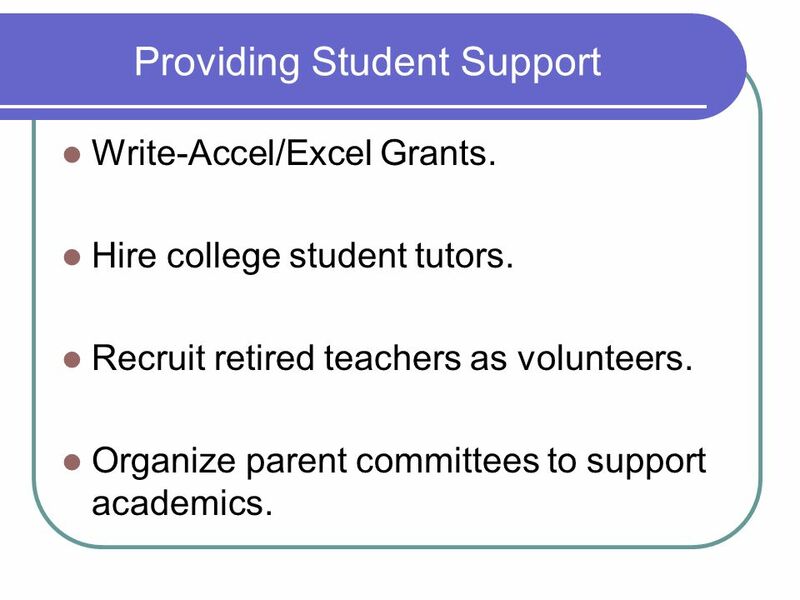 Organize parent committees to support academics. 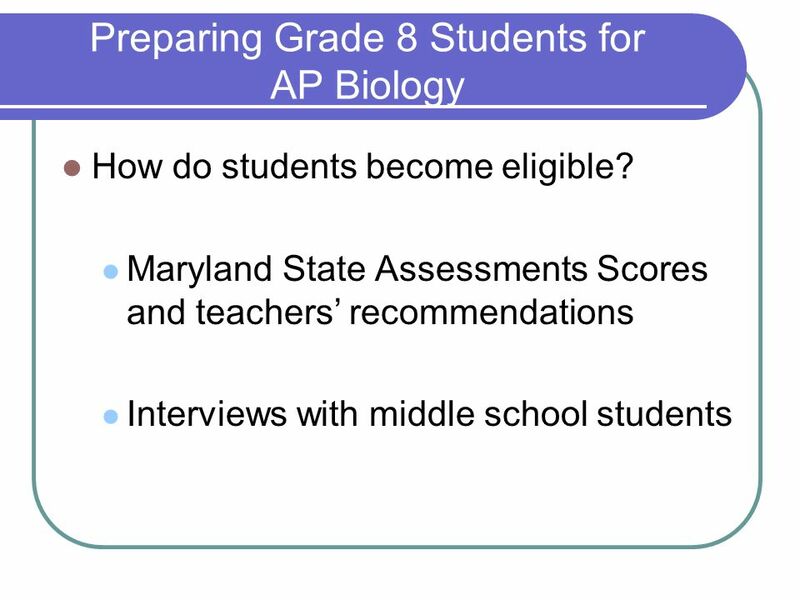 How are students and families prepared? 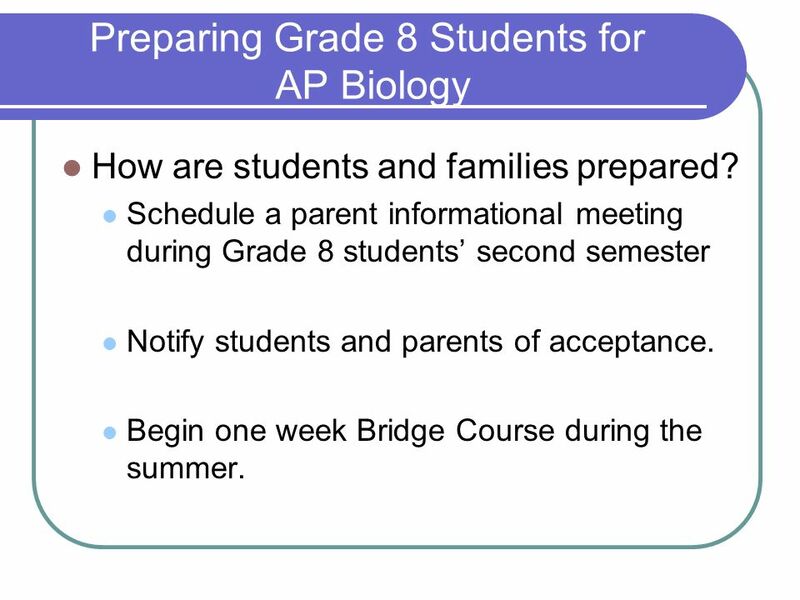 Schedule a parent informational meeting during Grade 8 students’ second semester Notify students and parents of acceptance. Begin one week Bridge Course during the summer. 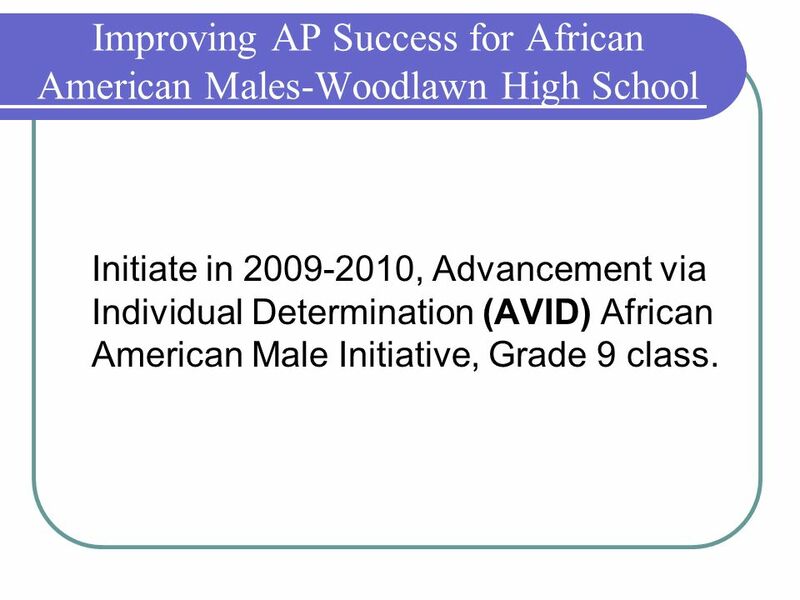 Initiate in , Advancement via Individual Determination (AVID) African American Male Initiative, Grade 9 class. 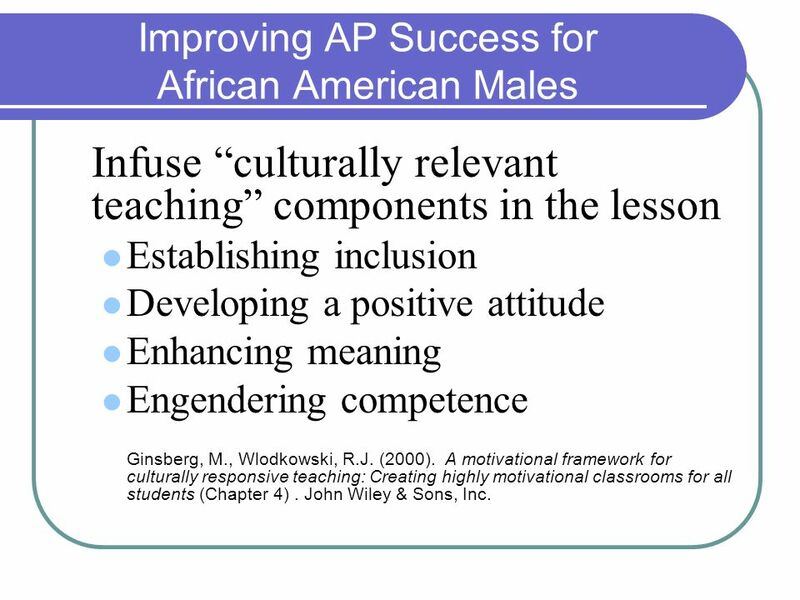 Infuse “culturally relevant teaching” components in the lesson Establishing inclusion Developing a positive attitude Enhancing meaning Engendering competence Ginsberg, M., Wlodkowski, R.J. (2000). 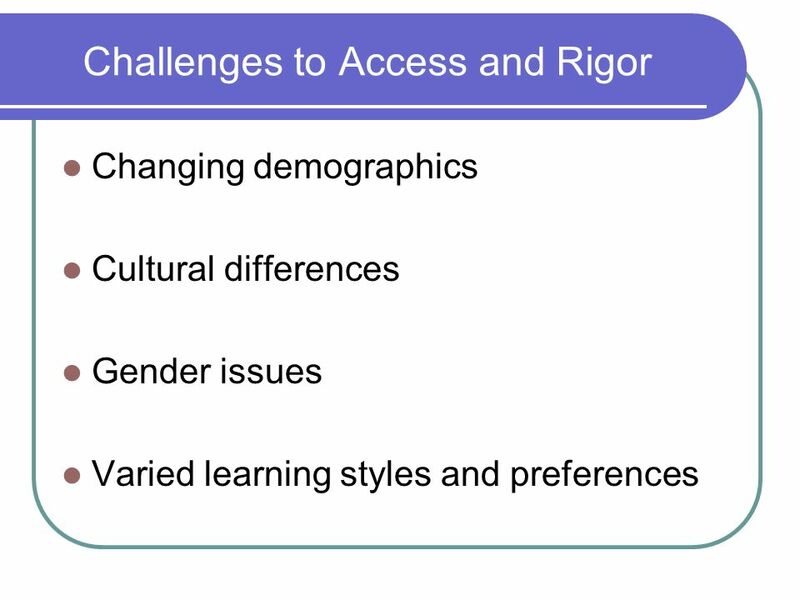 A motivational framework for culturally responsive teaching: Creating highly motivational classrooms for all students (Chapter 4) . John Wiley & Sons, Inc.
48 Questions and Answers How can we help you? 51 AP Presenters Please contact us! 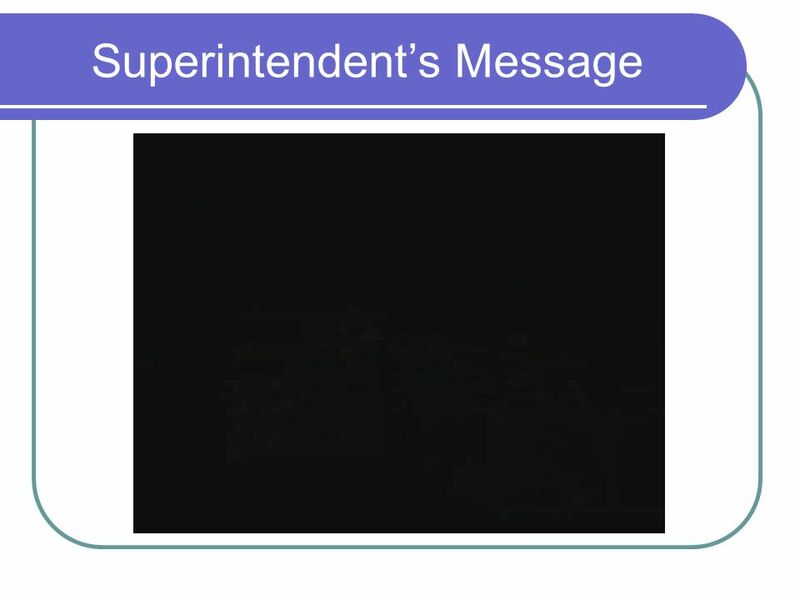 Download ppt "2010 College Board Forum Baltimore County Public Schools"
[Imagine School at North Port] Oral Exit Report Quality Assurance Review Team School Accreditation. 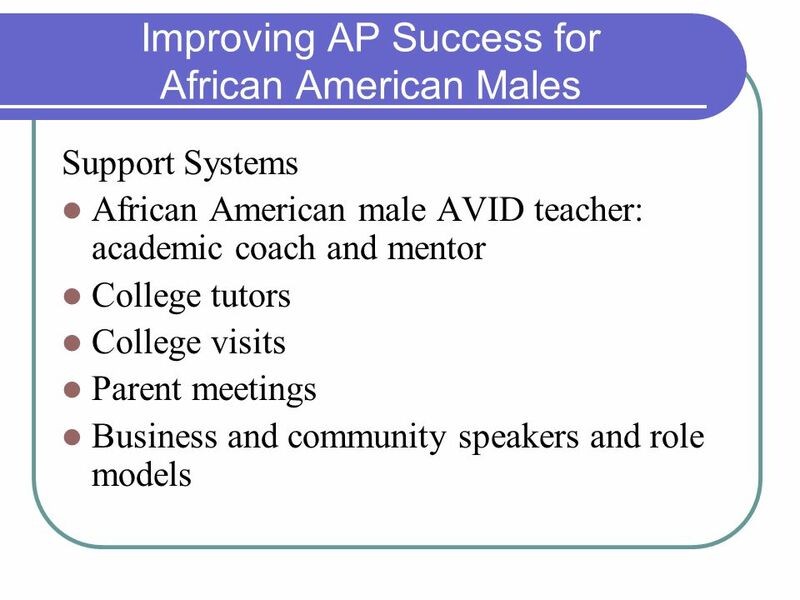 AP STEM Access Program Orientation Information Session. WASC Visiting Committee Report 3/28/2007. Areas of Strength Organization The Co Principals and the School Leadership Team provide direction and support. STUDENT DEMOGRAPHICS 544 students 78% Caucasian, 12% Black, 7% Hispanic, 3% other 42% of students qualify for free or reduced lunch 16% of students qualify. Pre-AP (AVID) and Advanced Placement Dan Edwards, Associate Superintendent John Niemeyer, Coordinator. Career and College Readiness Kentucky Core Academic Standards Characteristics of Highly Effective Teaching and Learning Assessment Literacy MODULE 1. Assessment Literacy Kentucky Core Academic Standards Characteristics of Highly Effective Teaching and Learning Career and College Readiness MODULE 1. Southern Regional Education Board 1 Preparing Students for Success in High School. 1 R-2 Report: Success in algebra by the end of ninth grade A presentation to the Board of Education by Brad Stam, Chief Academic Officer Instructional. In Lampasas ISD.  AP stands for Advanced Placement  AP is a program developed and administered by the College Board  AP courses are college level courses. Community Engagement Future-Ready Community Partnerships. Focused on Quality; Committed to Excellence Presentation to the Maryland State Board of Education May 22, 2012 Deep Creek Magnet Middle School Dundalk. North Carolina Educator Evaluation System. Future-Ready Students For the 21st Century The guiding mission of the North Carolina State Board of Education. MCSD EQUITY UPDATE Presented by Sergio Sanchez K-12 Math and ESOL Program Specialist Educational Equity and ADA Coordinator MCSD sanchezs 1.